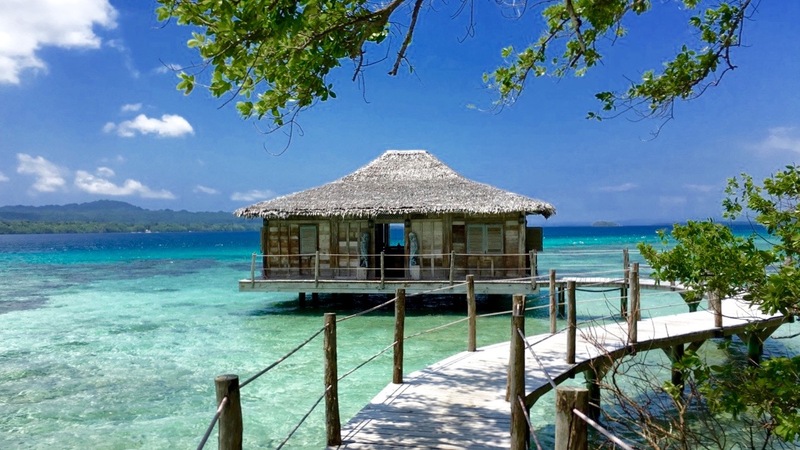 If you enjoyed the high-spirited, carefree stories of Pippi Longstocking exploring the South Seas growing up, then prepare to be transported to paradise at Ratua Island, an exclusive private retreat located in the Vanuatu Archipelago just south of Espiritu Santo. Ratua Island is the ultimate fantasy island for grown ups, perfect for escaping the pressures and headaches of everyday life. Shunning the modern world of consumption and capitalism, an entrepreneurial French billionaire with an eye for detail has embraced the local culture and environment to create a utopian paradise recently made available to anyone who can afford the price of admission–starting at approx.AU$395 per person, per night including breakfast. At Ratua, you don’t have to worry or think about anything except for the simple pleasures in life and what your next adventure or meal might be. Once you step foot on the island, there is no need for a wallet and there are no house rules. Guests are immediately invited to learn the French “the art of living” and made to feel at home in this exotic wonderland where “mia casa e tua casa”. Feel free to jump behind the bar and be the resident mixologist. If cooking is your thing, you are welcome to give the chef a hand. The cuisine, a mixture of Pan-Pacific and Franco-Asian dishes, showcases fresh organic produce, fish, beef, and chicken with a variety of local spices and flavors (like coconuts) to keep you both intrigued and sated. The Ratua wine cellar stocks the best of Australian, New Zealand, Californian, and French wines as well as a unique collection of rare international vintages. But as any good French socialist knows, with great freedom comes great responsibility. Thus, the self-sustainable sanctuary spread across 146 acres has been conceived with a well thought-out ethical and ecological model that uses only local and renewable resources, including staff–all 60 of them! The chef feeds guests from the island’s own organic kitchen garden tended by the local community and school that regularly uses or sells whatever is left over. The island also hosts a number of chickens, goats, cows, and pigs that roam freely about the property, including 20 horses, two cats and one sheep. But perhaps most significant is the fact that 100 percent of Ratua’s profits are put back into the local surrounding communities through the Ratua Foundation with an ambitious plan for housing, education, hospitals, farming, cultural projects such as an outdoor cinema, and the development of the local craft industry by micro credit. 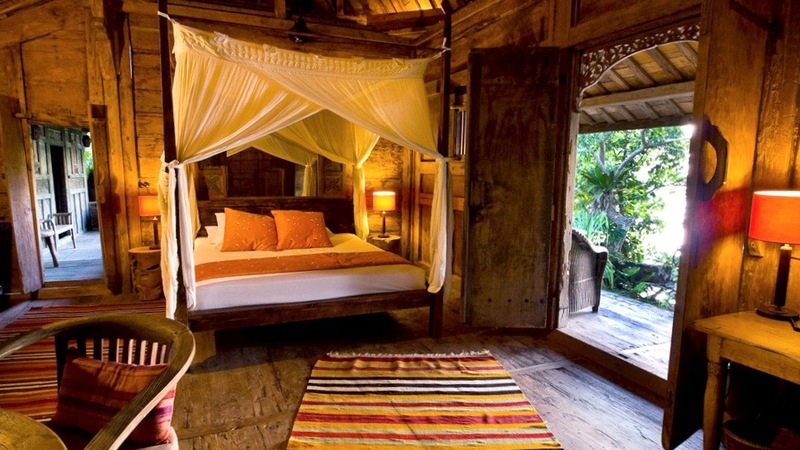 Guests sleep in one of three “villages” interconnected by a long plank walkway that leads to 15 original Indo-Oceania style bungalows perched on their own private beach with stunning water views. Each room is simply, but beautifully decorated with exotic Indonesian and Balinese antique furniture, and has a separate adjoining bathroom. The terraces offer sumptuous daybeds perfect for reading and napping on in the late afternoon. Look out for the horses that like to graze on the doorstep at dusk. At mealtimes, friends and family gather at the Yacht Club–an ocean-facing, wooden triumvirate structure that houses the bar, dining room and lounge area. This is the social hub of the island where guests can lay on the deck, listen to music, dance, perform, play cards or just hang out at the bar with the delightful staff who are more than happy to chat while making you one of their special cocktails… just watch out for the Kava–the local “drug” of choice. (Effects include mild sedation, a slight numbing of the gums and mouth, vivid dreams, and a cheerful mood.) If offered, it is considered rude not to accept and is an important and traditional part of the local culture. Kava is usually drunk in a Nakamal, an area where the men from a village gather after a working day. (In Australia, it’s called the pub.) Situated under a large tree or “lean-to,” the men from the village rally to talk about current issues, whether they are political or otherwise. Often the chief will use this time to mediate and or make judgment on village disputes or even close business deals. Traditional Nakamals are “Men Only” with women and children not allowed to enter, although they do sometimes make exceptions for foreign guests. 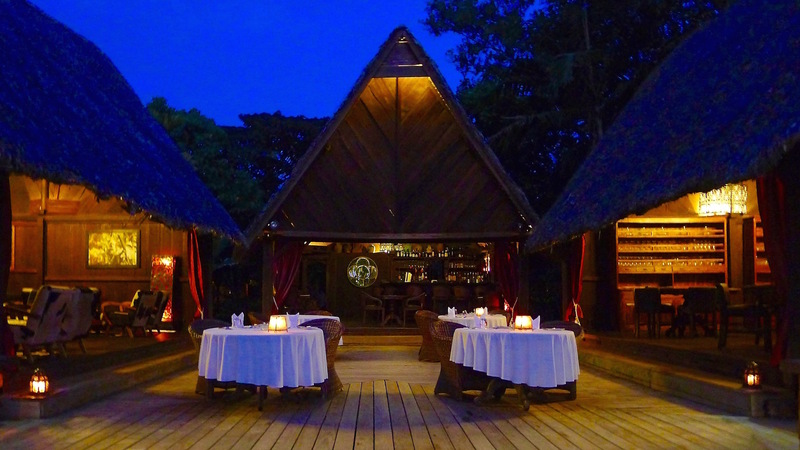 Legend has it that one rather intoxicated visitor rode a horse into the bar one evening causing quite a stir, but at Ratua anything goes, so nobody minded… not even the horse. The diversity of the Vanuatu Archipelago is one of its most compelling attractions–corals seas, tropical islands, exotic fish, volcanoes, jungle and rainforest are all part of the rich and colorful landscape. Each island has its own unique history, traditions and attractions. 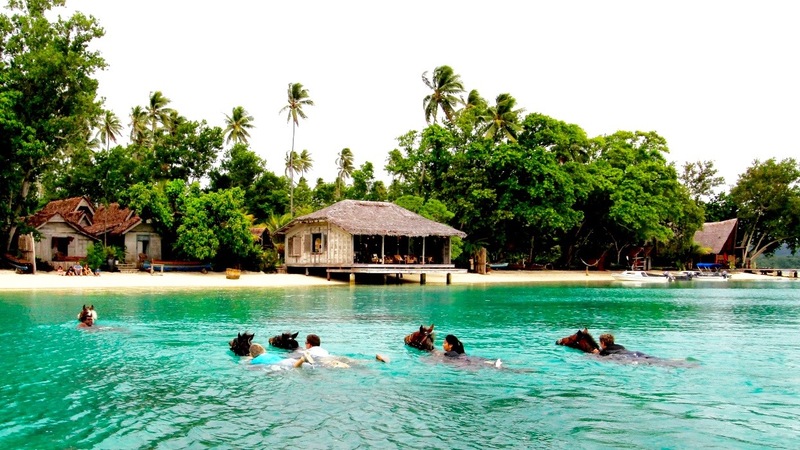 On Ratua, there is a range of activities to enjoy such as snorkeling, diving, water-skiing, canoeing and horse riding along the beach followed by a dip in the water on horseback. 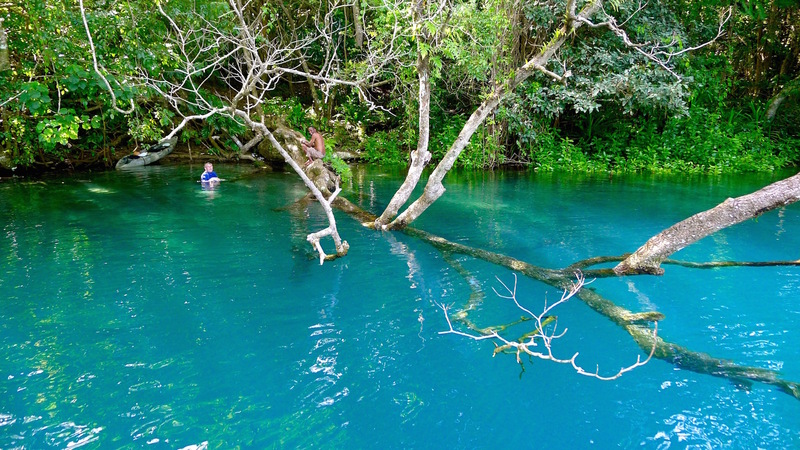 Other local attractions well worth exploring are the Blue Hole–a crystal clear sparkling cerulean blue swimming hole at the end of a beautiful river journey by kayak or SUP, as well as Turtle Island where green turtles frequently breed and nest. The nearest main island is Santo, which was an important American military base during World War II. When the Americans departed, they not only left behind airfields and bomber wrecks, but incredibly, also sank all their military equipment in the nearest lagoon, known as Million Dollar Point. Amazingly, it has become a popular snorkeling spot because of all the colorful fish and coral that have since claimed it. Another well-known site popular with divers is the nearby wreck of the 200m long SS President Coolidge, a 1930’s luxury liner converted into a US troopship. The experience is quite surreal as divers swim through an underwater collection of Jeeps, trucks, cases of rifles, and other army equipment. 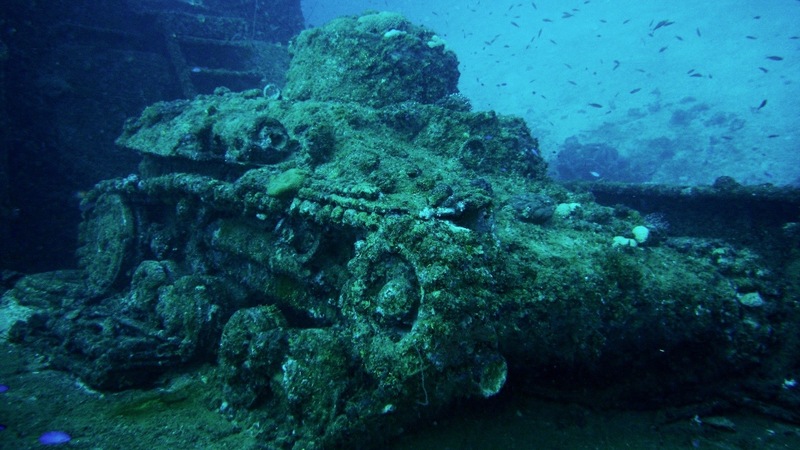 It is considered to be the world’s largest intact shipwreck still accessible to scuba divers who flock here for the many dive sites that the area offers. 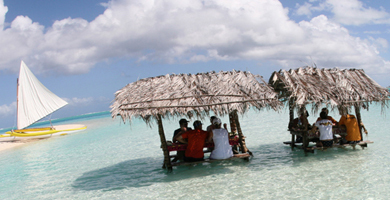 Champagne Beach is also worth stopping at since it is considered to be the most beautiful beach in the South Pacific. 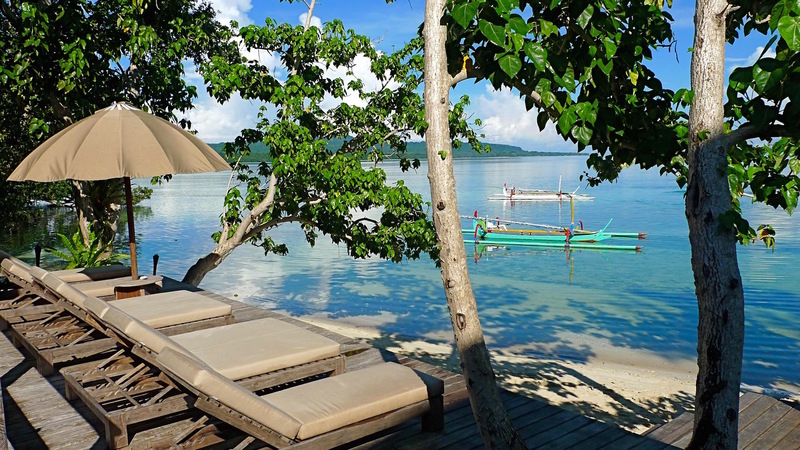 The staff at Ratua Island can easily arrange a picnic for you to take on your expedition. The picturesque drive passes through large coffee, cocoa, and coconut plantations, oddly filled with cattle. Japan imports its finest Wagyu beef from here and it is a steady source of income for the local community, so be sure to tuck into a juicy local steak. 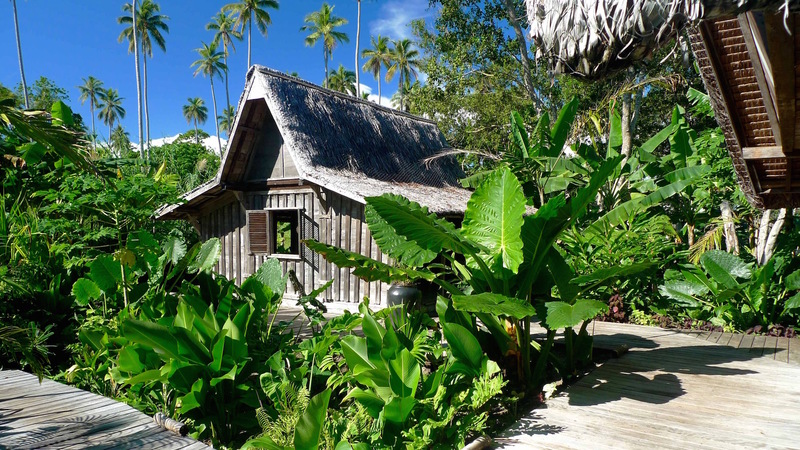 If you are looking for something more cultural to do, head to Vil Vil or Fanafu Village where you can experience traditional village life and meet some of the charming locals, including Chief Pulekon, who proudly demonstrate their weaving, farming, kava-making, and cooking techniques, as well as their music and dance skills. The sincerity, generosity and simplicity of their warm hospitality is both touching and refreshing. For a uniquely Vanuatan experience, head to Pentecost Island, famous for its Naghol or land diving ritual, which usually takes place on Saturdays in April and May as part of a spectacularly dangerous harvesting festival in which brave young men must prove their manhood by hurling themselves off a 35m tower headfirst tied to a vine. According to local custom, the men fertilize the earth upon touching it with their shoulders. Sadly, they sometimes break their neck. The ni-Vanuatu people, a Melanesian race, dominate the population of around 200,000, which includes French, British, Australian, New Zealand, Vietnamese, Chinese and other Pacific Island races. While Bislama is the lingua franca and national language, English and French are widely spoken in addition to over 110 local languages. 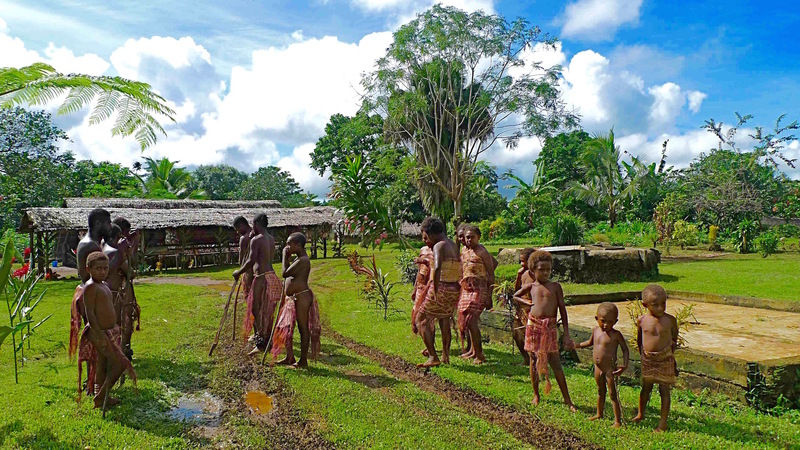 Traditional cultural life or “kastom” varies from island to island in Vanuatu, but at Ratua Island guests can enjoy the freedom, ritual, magic, and spectacle of the spirit of Vanuatu without feeling that they are intruding or taking advantage. Like the irresistible and adventurous Nordic pixie who urges her friends (a monkey and a horse) to eat some magic peas so that they WON’T have to grow up, one is tempted to drink the kava and remain a captive of this paradise forever as Ratua rises as another shining symbol of a trouble-free time when the world was a simpler, better and happier place. Getting There: Direct international flights are available to Port Vila from Fiji, New Zealand and Australia on Air Vanuatu, Qantas, Air Pacific, and Virgin Pacific Blue. From Port Vila, it is an hour’s flight by light aircraft to Espiritu Santo’s Luganville Airport. 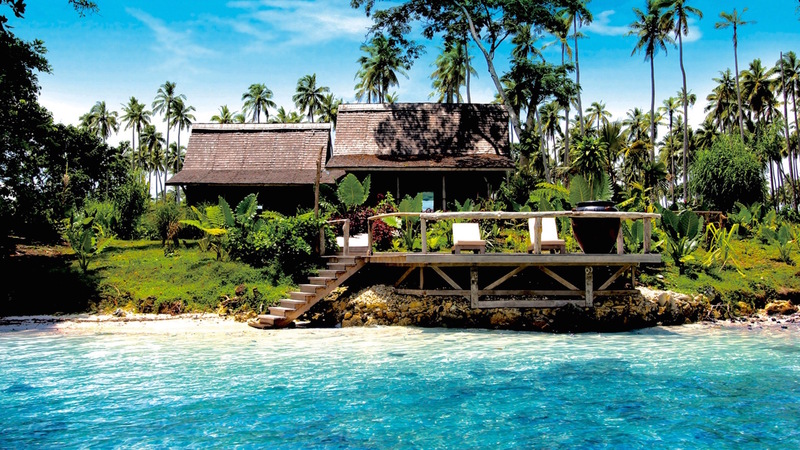 From Santo, guests are collected by car to take the 30-minute boat ride to Ratua Island. 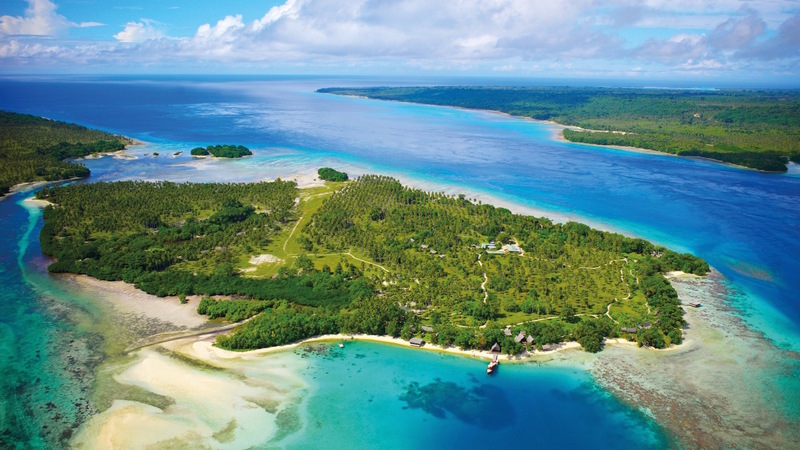 Alternatively, guests can take a small private plane from Port Vila directly to Ratua Island’s own private runway. From London, the journey is approximately 30 hours, from Los Angeles approx. 15, and from Australia approx. 7 hours. Climate: Subtropical. Southeast trade winds bring warm tropical weather throughout the year. Warm, humid and wet between November and April. Rain is moderate. Hot Tip: Be sure to book into Ratua’s heavenly overwater day spa for a relaxing massage or beauty treatment, or just lie back and enjoy the 360˚ water views. I’m not jumping off that tower with vines tied to my legs!